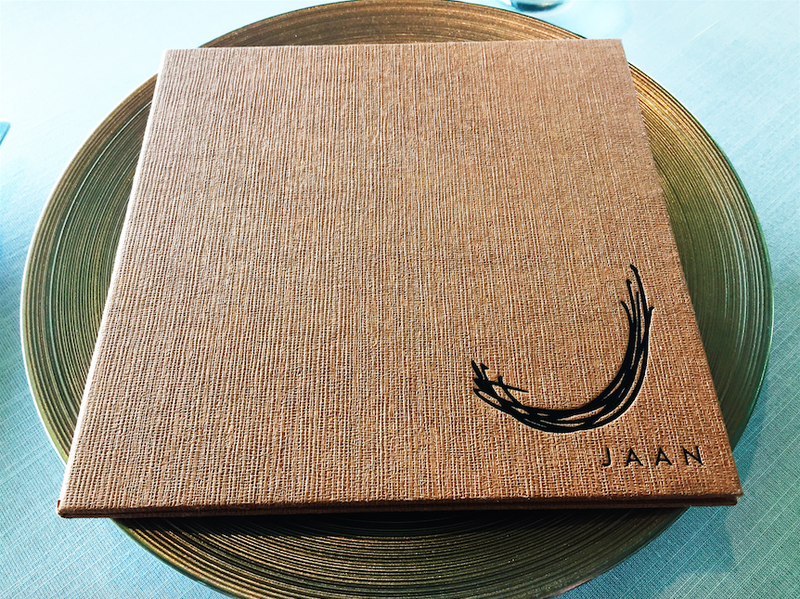 Jaan is right there among the best dining experiences we have ever had in Singapore. Rightfully, it deserves its one-Michelin-star from the recently published Singapore Michelin Guide. The modern French restaurant was recommended to us by our cousin for its good food and value for money. Located at the top (Level 70) of Swissôtel The Stamford, Jaan also boasts a stunning view as a bonus. 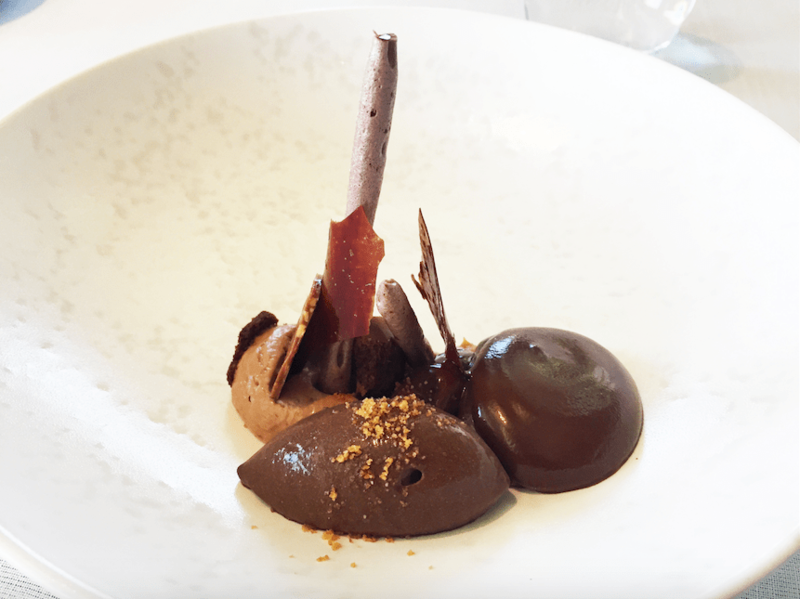 We went to Jaan for lunch in June 2015, just a few days after Chef Julien Royer, the man behind Jaan’s awesomeness, left the restaurant to set up his new restaurant, Odette at the National Gallery Singapore. Knowing that the instrumental chef had left made us feel a little apprehensive, but we found out later that our misgivings were unfounded. 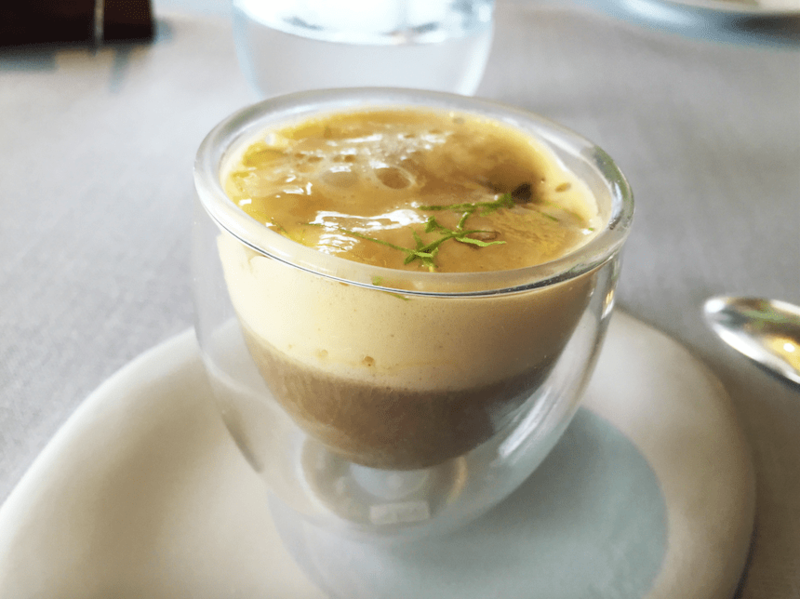 We had the 5-course lunch menu recommended by our cousin, who is a regular diner at Jaan. Many surprises were served throughout our meal. Our meal began with a surprise of a variety of pre-starter snacks. This was followed by yet another pre-starter surprise of a special mushroom soup. 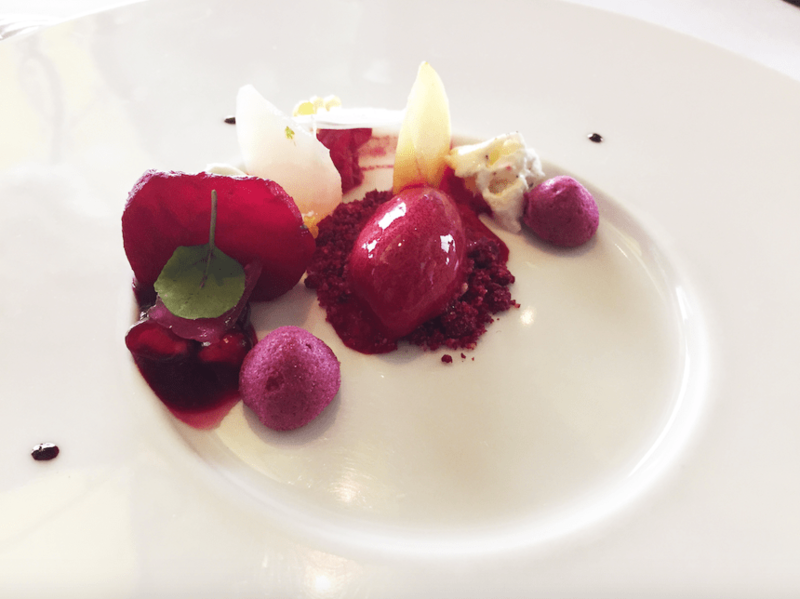 The first official starter that finally came was a Beetroot Collection – ‘Burrata artigiana’ with honeycomb and horseradish. Starter number two was one of the most memorable dishes of our meal, which had also come highly recommended by our cousin. 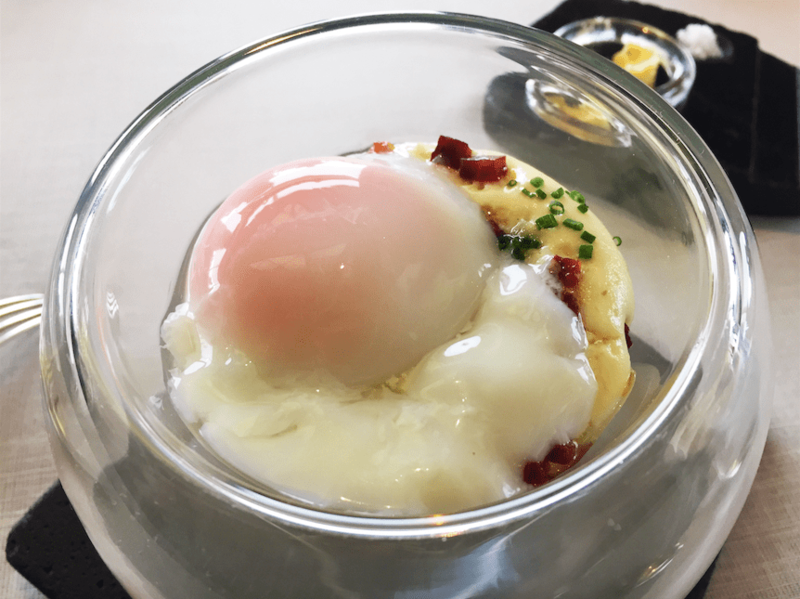 It was a 55’ Rosemary-Smoked Organic Egg with Ratte potato, chorizo Iberico and buckwheat. 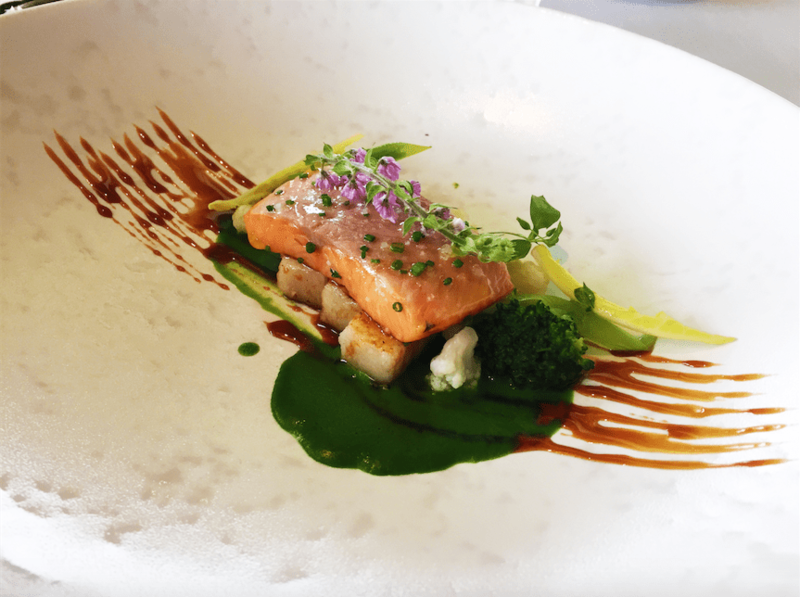 Next came our first main of Confit Rainbow Trout with Kurobuta pork, miso caramel and yuzu. 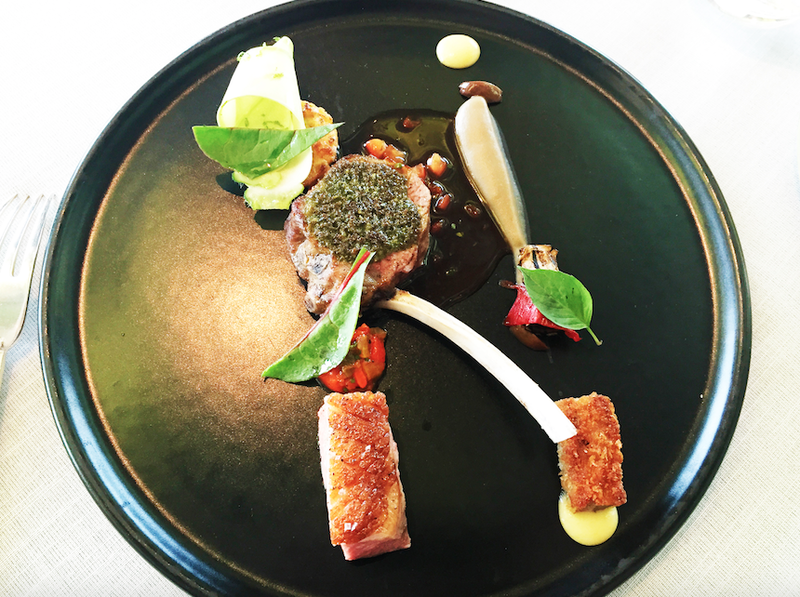 Main number two was a dish of Welsh Lamb “Provencale” with Niçoise olive, trumbetta zucchini and pesto. A pre-dessert surprise of Victoria Pineapple with Coconut sablé, fromage blanc and passionfruit ‘nage’. Dessert proper was an divine dish of Choconuts ‘Grand Cru’. Topping our memorable meal off was a post-dessert surprise of macarons, canelés and other sweet treats. Jaan was simply perfect. 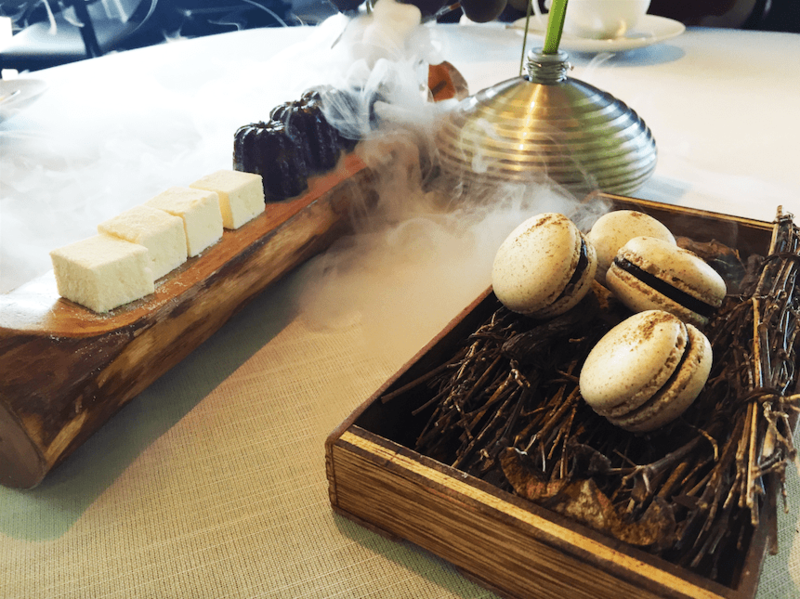 The food was fantastic, many surprises were served and the ambience was lovely with an amazing view to boot (although we hardly noticed view with all the beautiful food!). 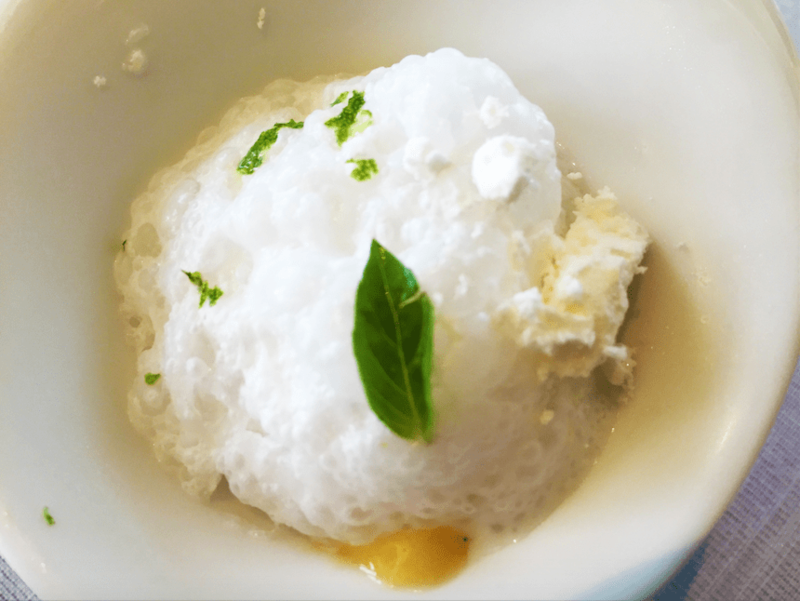 It was a gorgeously amazing meal and experience at Jaan, which we will readily recommend to any fine-dining enthusiast around.